Those who know me know that I have little love for Microsoft Windows. The platform is a special snowflake, and coming from a Unix background (real UNIX, not Linux, btw), every time I'm faced with Windows I feel like I'm in some alternate dimension where everything is a little strange and painful. All of those are merely annoyances, and I keep Windows around on one of my computers for this reason. It's not one I use primarily, nor one I carry with me when I travel. But I also have created and support software that runs on Windows, or that people want to use on Windows. Software like nanomsg, mangos, tcell, etc. This is stuff that supports other developers. Its free and open software, and I make no money from any of it. Supporting that software is a pain on Windows, largely due to the fact that I don't have a Windows license to run Windows in a VM. The only reason I'd buy such a license for my development laptop would be to support my free software development efforts. Which would actually help and benefit the Windows ecosystem. I rely on AppVeyor (which is an excellent service btw) to help me overcome my lack of a Windows instance on my development system. This has allowed me to support some things pretty well, but the lack of an interactive command line means that some experiments are nigh impossible for me to try; others make me wait for the CI to build and test this, which takes a while. Leading to lost time during the development cycle, all of which make me loathe working on the platform even more. Microsoft can fix this. In their latest "incarnation", they are claiming to be open source friendly, and they've even made big strides here in supporting open source developers. Visual Studio is free (as in beer). Their latest code editor is even open source. The .Net framework itself is open source. But the biggest barrier is the license for the platform itself. I'm simply not going to run Windows on the bare metal -- I'm a Mac/UNIX guy and that is not going to change. But I can and would be happier to occasionally run Windows to better support that platform in a VM, just like I do for illumos or Linux or FreeBSD. So, Microsoft, here's your chance to make me hate your platform a little less. Give open source developers access to free Windows licenses; to avoid cannibalizing your business you could have license terms that only allow these free licenses to be used when Windows is run in a virtual machine for non-commercial purposes. This is a small thing you could do, to extend your reach to a set of developers who've mostly abandoned you. In the meantime, if you use software I develop, please don't be surprised if you find that I treat Windows as a distinctly second class citizen. After all, its no worse than how Microsoft has treated me as an open source developer. Yesterday there was a flurry of activity on Twitter, and in retrospect, it seems that some have come away with interpretations of what I said that are other than what I intended. Some of that misunderstanding is pretty unfortunate, so I'd like to set the record straight on a couple of items now. First off, let me begin by saying that this blog, and my Twitter account, are mine alone, and are used by me to express my opinions. They represent neither illumos nor Lucera, nor anyone or anything else. Second, I have to apologize for it seems that I've come across as somehow advocating either against diversity (whether in the community or in the workplace) or in favor of toxicity. Nothing could be further from the truth. I believe strongly in diversity and an inclusive environment, both for illumos, and in the work place. I talked about this at illumos day last year (see about 13:30 into the video, slides here), and I've also put my money where my mouth is. Clearly, it hasn't been enough, and I think we all can and should do better. I'm interested in finding ways to increase the diversity in illumos in particular, and the industry in general. Feel free to post your suggestions in the comments following this blog. Finally, I didn't mean to offend anyone. If I've done so in my recent tweets, please be assured that this was not intentional, and I hope you'll accept my heartfelt apology. Some of you who follow me may know that I have recently built a pretty nifty framework for working with terminals. ANSI, ASCII, VT100, Windows Console, etc. Its called Tcell, and located on github. (Its a Go framework though.) It offers many of the same features as curses, though it is most definitely not a clone of curses. Anyway, I decided it should be possible to write a game in this framework, so I wrote one. The game is fairly primordial, but there is a playable level complete with enemies and hazards. It's actually reasonably difficult to get past just this first level. Mostly the idea here is that you can get a sense of what the game engine is capable of, and see Tcell in action. The code is Apache 2 licensed, so feel free to borrow bits for your own projects. I'd love to hear about it. Anyway, I thought I'd post this here. I made two videos. The longer one, at about 3:30, shows most of the features of the game, animated sprites, some nice explosions, gravity effects, beam field effects, etc. 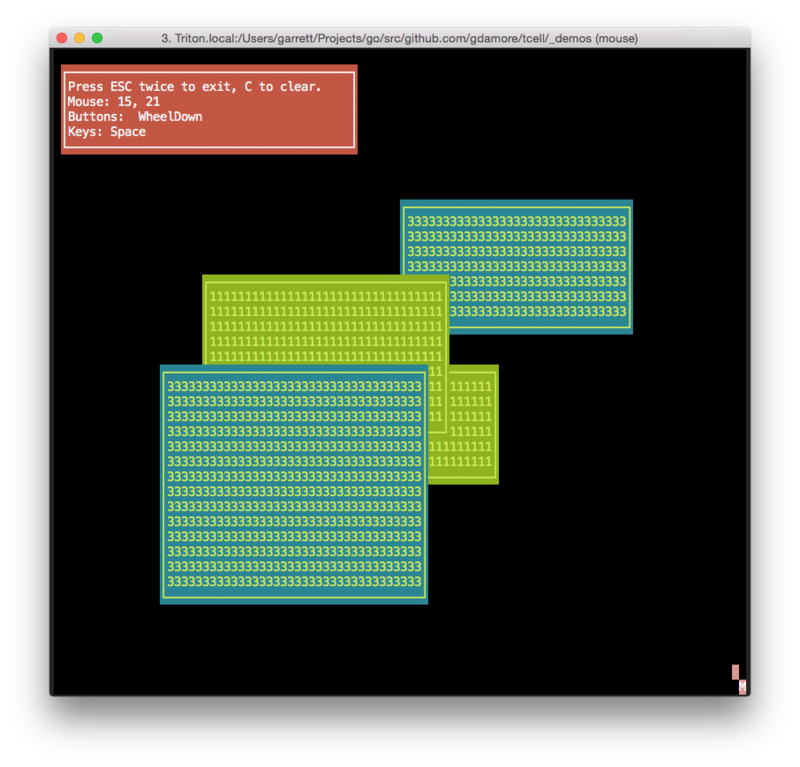 The second video shows what this looks like on less rich terminals -- say a VT100 with only 7-bit ASCII characters available. The richer your locale, the nicer it will look. But it falls down as gracefully as one can expect. Btw, this framework is now basically design complete, so it should be super easy to product a lot of simples kinds of games -- for example a clone of Missile Command or Space Invaders should be doable in an afternoon. What makes this game a little bigger is the number if different kinds of objects and object interactions we can have. As part of my recent work on Tcell, I've recently added some pretty cool functionality for folks who want to have applications that can work reasonably in many different locales. For example, if your terminal is running in UTF-8, you can access a huge repertoire of glyphs / characters. But if you're running in a non-UTF-8 terminal, such as an older ISO 8859-1 (Latin1) or KOI8-R (Russian) locale, you might have problems. Your terminal won't be able to display UTF-8, and your key strokes will probably be reported to the application using some 8-bit variant that is incompatible with UTF-8. (For ASCII characters, everything will work, but if you want to enter a different character, like Я (Russian for "ya"), you're going to have difficulties. If you work on the console of your operating system, you probably have somewhere around 220 characters to play with. You're going to miss some of those glyphs. Go of course works with UTF-8 natively. Which is just awesome. If you use Tcell for your application's user interface, this is now "fixed". The Unicode (and non-Unicode translation) handling capabilities in Tcell far exceed any other terminal handling package I'm aware of. Here are some interesting screen caps, taken on a Mac using the provided unicode.go test program. Then we run in ISO8859-1 (Latin 1). Here you can see the accented character available in the Icelandic word, and some terminal specific replacements have been made for the drawing glyphs. ISO 8859-1 lacks most of the unusual or Asian glyphs, and so those are rendered as "?". This is done by Tcell -- the terminal never sees the raw Unicode/UTF-8. That's important, since sending the raw UTF-8 could cause my terminal to do bad things. Note also that the widths are properly handled, so that even though we cannot display the combining characters, nor the full-width Chinese characters, the widths are correct -- 1 cell is taken for the combining character combinations, and 2 cells are taken by the full width Chinese characters. Then we show off legacy Russian (KOI8-R): Here you can see Cyrillic is rendered properly, as well as the basic ASCII and the alternate (ACS) drawing characters (mostly), while the rest are filled with place holder ?'s. And, for those of you in mainland China, here's GB18030: Its somewhat amusing that the system font seems to not be able to cope with the combining enclosure here. Again, this is a font deficiency in the system. As you can see, we have a lot of rendering options. Input is filtered and converted too. Unfortunately, the mouse test program I use to verify this doesn't really show this (since you can't see what I typed), but the Right Thing happens on input too. I'm super tempted to put all this together to write an old DOS-style game. I think Tcell has everything necessary here to be used as the basis for some really cool terminal hacks. Give it a whirl if you like, and let me know what you think. 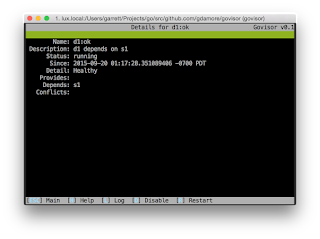 As part of the work I've done on govisor, I had a desire for rich terminal functionality so that I could build a portable curses-style management application. This turned out to be both easier and harder than I thought. This led me to create my own library; I've made some very very different design choices. These design choices have let me both support more platforms (pretty much all POSIX platforms and Windows are included), increase support for a much richer set of terminals and terminal capabilities, etc. As part of this work, I've implemented a full Terminfo string parser/expander in Go. This isn't quite as trivial as you might think, since the parameterized strings actually have a kind of stack based "minilanguage", including conditionals, in them. This work would be a nice basis for portable readline implementations, getpassphrase, etc. Or a full up curses implementation. It does support a compatibility mode for termbox, and most termbox applications work with only changing the import line. I still need to change govisor, and the topsl panels library, to use tcell, but part of that work will be including much more capable mouse reporting, which tcell now facilitates. I've been noticing more and more lately that we have a plethora of libraries and programs written for Go, which don't work on one platform or another. The root cause of these is often the use of direct system call coding to system calls such as ioctl(). On some platforms (illumos/solaris!) there is no such system call. This has quite a few problems with it. It's not platform portable. This function depends on a specific implementation of tcsetattr() that is done in terms of specific ioctl()s. For example, TCSETS may be used on one platform, but on others TIOCSETA might be used. It's not Go portable, since SYS_IOCTL isn't implemented on platforms like illumos, even though as a POSIX system we do have a working tcsetattr(). The code is actually pretty unreadable, and somewhat challenging to write the first time correctly. The code uses unsafe.Pointer(), which is clearly something we ought to avoid. How did we wind up in this ugly situation? The problem I believe stems from some misconceptions, and some historical precedents in the Go community. First the Go community has long touted static linking as one of its significant advantages. However, I believe this has been taken too far. Why is static linking beneficial? The obvious (to me at any rate) reason is to avoid the dependency nightmares and breakage that occurs with other systems where many dynamic libraries are brought together. For example, if A depends directly on both B and C, and B depends on C, but some future version of B depends on a newer version of C that is incompatible with the version of C that A was using, then we cannot update A to use the new B. And when the system components are shared across the entire system, the web of dependencies gets to be so challenging that managing these dependencies in real environments can become a full time job, consuming an entire engineering salary. You can get into surprising results where upgrading one library can cause unexpected failures in some other application. So the desire to avoid this kind of breakage is to encode the entire binary together, in a single stand-alone executable, so that we need never have a fear as to whether our application will work in the future or not. As I will show, we've not really achieved this with 100% statically linked executables in Go, though I'll grant that we have greatly reduced the risk. This is truly necessary because much of the open source ecosystem has no idea about interface stability nor versioning interfaces. This is gradually changing, such that we now have ideas like semver coming around as if they are somehow new and great ideas. The reality is that commercial operating system vendors have understood the importance of stable API boundaries for a very very long time. Some, like Sun, even made legally binding promises around the stability of their interfaces. However, in each of these cases, the boundary has to a greater or lesser extent been at the discretion of the vendor. Until we consider standards such as POSIX 1003.1. Some mistakenly believe that POSIX defines system calls. It does not. It defines a C function call interface. The expectation is that many of these interfaces have 1:1 mappings with system calls, but the details of those system calls are completely unspecified by POSIX. 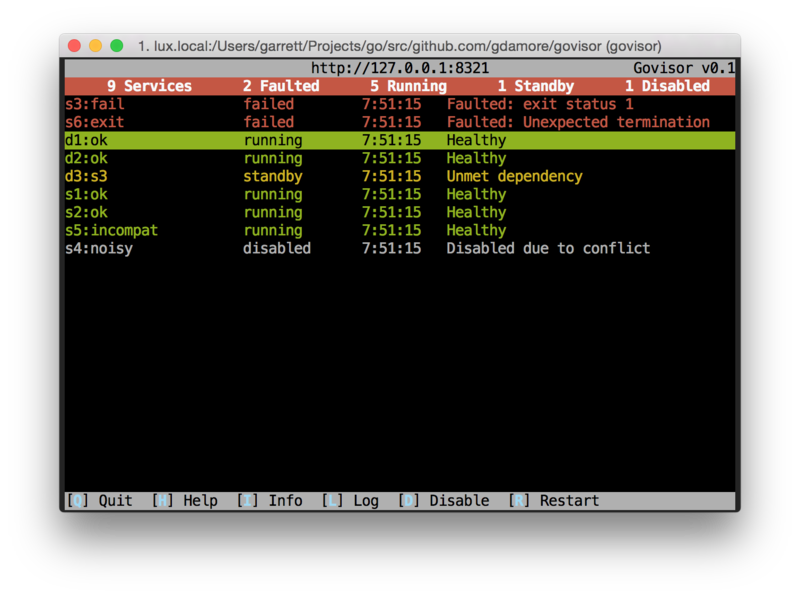 Basically, the Go folks want to minimize external dependencies and the web of failure that can lead to. Fixing that is a goal I heartily agree with. However, we cannot eliminate our dependency on the platform. And using system calls directly is actually worse, because it moves our dependency from something that is stable and defined by standards bodies, to an interface that is undocumented, not portable, and may change at any time. If the application depends on a library that has a critical security update, it becomes necessary to recompile the application. If you have a low level library such as a TLS or HTTP client, and a security fix for a TLS bug is necessary (and we've never ever ever had any bugs in TLS or SSL implementation, right? ), this could mean recompiling a very large body of software to be sure you've closed the gaps. With statically linked programs, even knowing which applications need to be updated can be difficult or impossible. They defy the most easy kinds of inspection, using tools like ldd or otool to see what they are built on top of. What is also tragic, is that static executables wind up encoding the details of the kernel system call interface into the binary. On some systems this isn't a big deal because they have a stable system call interface. (Linux mostly has this -- although glibc still has to cope with quite a few differences here by handling ENOSYS, and don't even get me started on systemd related changes.) But on systems like Solaris and illumos, we've historically considered those details a private implementation detail between libc and kernel. And to prevent applications from abusing this, we don't even deliver a static libc. This gives us the freedom to change the kernel/userland interface fairly freely, without affecting applications. When you consider standards specifications like POSIX or X/OPEN, this approach makes a lot of sense. They standardize the C function call interface, and leave the kernel implementation up to the implementor. But statically linked Go programs break this, badly. If that kernel interface changes, we can wind up breaking all of the Go programs that use it, although "correct" programs that only use libc will continue to work fine. The other problem with static linking is that it can create a license condition that is very undesirable. For example, glibc is LGPL. That means that per the terms of the LGPL it must be possible to relink against a different glibc, if you link statically. In terms of the system, the primary practice for Go programmers has been to use licenses like MIT, BSD, or Apache, that are permissive enough that static linking of 3rd party Go libraries is usually not a problem. I suppose that this is a great benefit in that it will serve to help prevent GPL and LGPL code from infecting the bulk of the corpus of Go software. The solution here is rather straightforward. What would be even better, and cleaner, would be to abstract that interface above behind some Go code, converting between a Go struct and the C struct as needed, just as is done in much of the rest of the Go runtime. The logical place to do this would be in the standard Go system libraries. I'd argue rather strongly that core services like termio handling ought to be made available to Go developers in the standard system libraries that are part of Go, or perhaps more appropriately, with the golang.org/x/sys/unix repository. In any event, if you're a Go programmer, please consider NOT directly calling syscall interfaces, but instead using higher level interfaces, and when those aren't already provided in Go, don't be afraid to use cgo to access standard functions in the C library. Its far far better for everyone that you do this, than that you code to low level system calls. I'm happy to announce that I feel I've wrapped up Govisor to a point where its ready for public consumption. 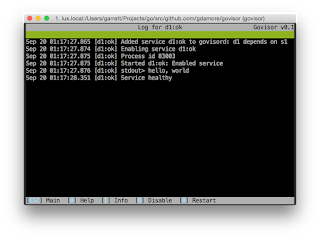 Govisor is a service similar to supervisord, in that it can be used to manage a bunch of processes. However, it is much richer in that it understands process dependencies, conflicts, and also offers capabilities for self-healing, and consolidated log management. It runs as an ordinary user process, and while it has some things in common with programs like init, upstart, and Solaris SMF, it is not a replacement for any of those things. Instead think of this is a portable way to manage a group of processes without requiring root. In my case I wanted something that could manage a tree of microservices that was deployable by normal users. Govisor is my answer to that problem. Govisor is also written entirely in Go, and is embeddable in other projects. The REST server interface uses a stock http.ServeHTTP interface, so it can be used with various middleware or frameworks like the Gorilla toolkit. Services can be implemented as processes, or in native Go. Which actually brings up the topic of "tops'l" (which is a contraction of top-sail, often used in sailing). 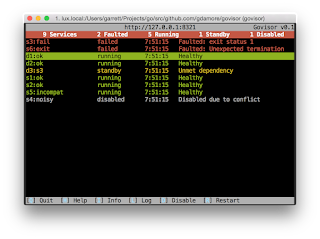 Govisor depends the package tops -- "terminal oriented panels support library"), which provides a mid-level API for interacting with terminals. I created topsl specifically to help me with creating the govisor client application. I do consider topsl ready for use by Govisor, but I advise caution if you want to use it your own programs -- its really young and there are probably breaking changes looming in its future. The documentation is a bit thin on the ground, but if you want to help or have questions, just let me know! In the meantime, enjoy! As a PSA (public service announcement), I'm reporting here that updating your Yosemite system to 10.10.3 is incredibly toxic if you use WiFi. I've seen other reports of this, and I've experienced it myself. What happened is that the update for 10.10.3 seems to have done something tragically bad to the WiFi drivers, such that it completely hammers the network to the point of making it unusable for everyone else on the network. I have late 2013 iMac 27", and after I updated, I found that other systems started badly badly misbehaving. I blamed my ISP, and the router, because I was seeing ping times of tens of seconds! (No, not milliseconds, seconds!!! In one case I saw responses over 64 seconds.) This was on other systems that were not upgraded. Needless to say, that basically left the network unusable. This was most severe when using a 5GHz network. Switching down to 2.4GHz reduced some of the symptoms -- although still over 10 seconds to get traffic through and thoroughly unusable for a wide variety of applications. There are reports that disabling Bluetooth may alleviate this, and also some people reported some success with clearing certain settings files. I've not tried either of these yet. Google around for the answer if you want to. For now, my iMac 27" is powered off, until I can take the chance to disrupt the network again to try these "fixes". Apple, I'm seriously seriously disappointed here. I'm not sure at all how this testing got past you, but you need to fix this. Its absolutely criminal that applying a recommended update with security critical fixes in it should turn my computer into a DoS device for my local network. I'm shocked that several days later I've not seen a release update from Apple to fix this critical problem. I'll post an update here if one becomes available. I recently decided to have a look back at some old stuff I wrote. Blast from the past stuff. One of the things I decided to look at was the very first open source program I wrote -- something called vtprint. So vtprint, which in retrospect could have been written in a few lines of shell code, is a C program. It supports configuration via a custom file called "vtprintcap", that can provide information about different $TERM values and the escape sequences they use. So for example, TVI925 terminals use a different escape sequence than VT100 or VT220 terminals. Anyway, I transferred to SDSU into the Computer Science department. While there, back in 1993, I updated vtprint significantly, and that is the release that lives on at SourceForge. Today I imported that project to github. (And let me tell you, it took some hoops to do this. Apparently all the old CVS projects that were going to have converted to CVS are supposed to already have done so, because at this point even the conversion tools are mostly crufty and broken. Maybe I'll post what I did there.) Most of the files indicate an age of 11 years ago. That's because 11 years ago I imported the source into CVS for the benefit of SourceForge. The actual files date back to 1994, and you can even see my old email address -- which hasn't worked for a couple of decades, in the files. Copyright 1993-1994, Garrett D'AmoreLast revised October 25, 1994. NO WARRANTY! Use "vtprint -w" for info.Freely redistributable. Use "vtprint -l" for info. vtprint: Can't open /usr/local/lib/vtprint/vtprintcap, using builtin codes.vtprint: Using <stdout> for output.vtprint: Output flags: formfeedvtprint: Printed README.vtprint: Successfully printed 1 file (1 specified). 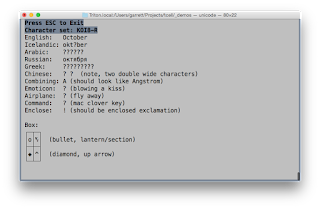 Sadly, MacOS X Terminal.app does not appear to emulate the escape sequences properly. But iTerm2 does so very nicely. 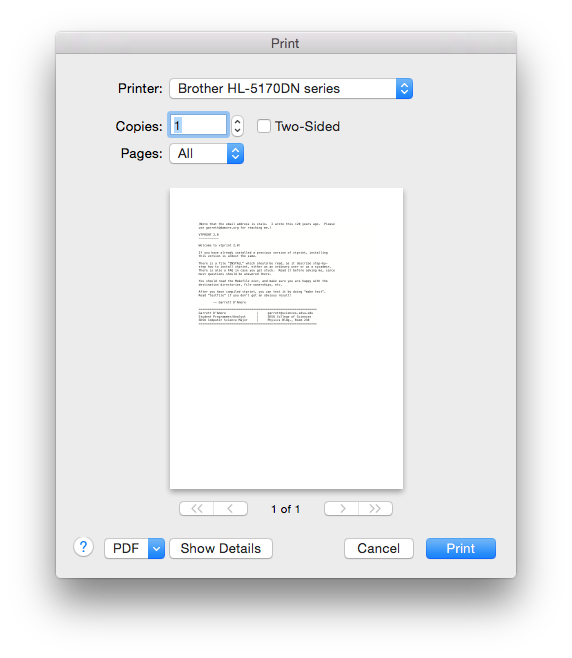 It even generates a nice print preview using the standard MacOS X print dialog. Sadly, it does not pass through PostScript unmolested, but for printing ASCII files it works beautifully. I think that I'm going to start using vtprint again, when I need to print a file located on a virtual machine, or over a connection that only offers SSH (such as a secured access machine). With firewalled networks, I suspect that this program has new usefulness. I'm also switching from Terminal.app (as many people have suggested) to iTerm2. 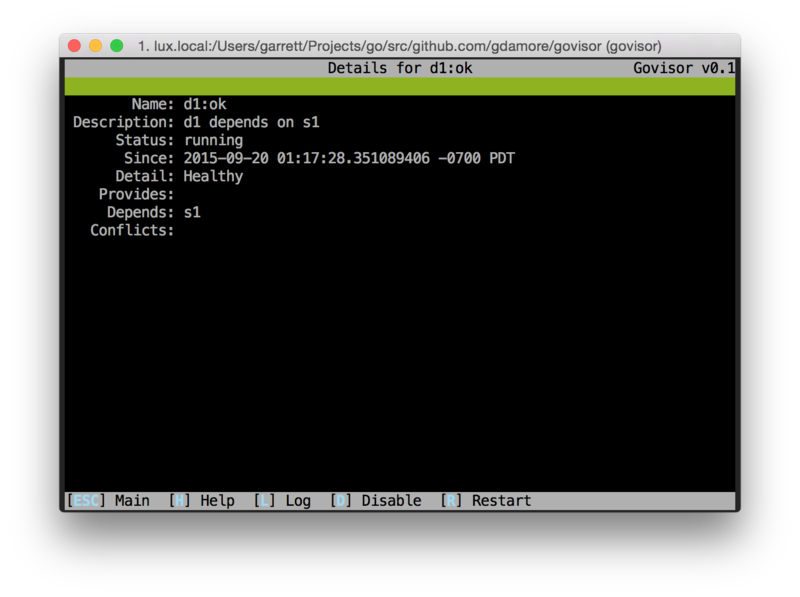 As part of a work-related project, I'm writing code that needs to resolve DNS names using Go, on illumos. While doing this work, I noticed a very surprising thing. When a host has both IPv6 and IPv4 addresses associated with a name (such as localhost), Go prefers to resolve to the IPv4 version of the name, unless one has asked specifically for v6 names. 81			// much code assumes localhost == ipv4-localhost. // stack does not actually support IPv6. // IPv6 not found, maybe IPv4? Its kind of a sad that the Go people felt that they had to make this choice -- at some level it robs the choice from the administrator, and encourages the existing broken code to remain so. 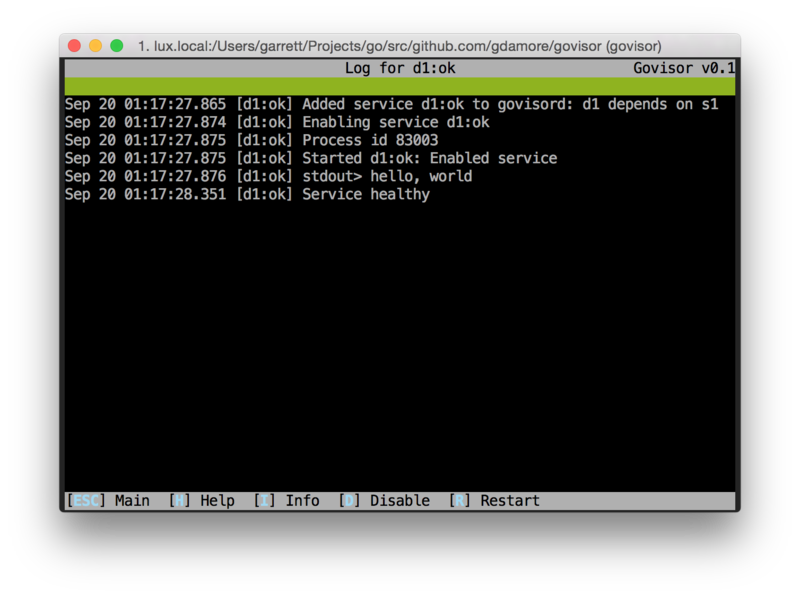 I'm not sure what the other systems use, but at least on illumos, we have a stack that understands the situation, and resolves optimally for the given the situation of the user. Sadly, Go shoves that intelligence aside, and uses its own overrides. One moral of the story here is -- always use either explicit v4 or v6 addresses if you care, or ensure that your names resolve properly. Those of you who follow me may have heard about this project I've created called mangos. Mangos is a lightweight messaging system designed to be wire compatible with nanomsg, but is implemented entirely in Go. There is a very nice write up of mangos by Tyler Treat, which might help explain some things. As a consequence of a few things, the last two weeks has seen a substantial rise of use of mangos. Second, mangos got mentioned on Hacker News. That drew a large number visitors to my github repo. Then another open source project, Goq, switched from using libnanomsg to mangos, using the compatibility shim I provided for such use. As a consequence of that work, several bugs were identified, and subsequently squashed. The upshot of all that is that I saw the number unique visitors sky rocket. On Saturday Feb 7, there were over 2500 unique visitors to the github page, and 29 unique people took clones. Sunday it tapered sharply to just over 1k visitors, and today there were only 7. Peaks rarely get sharper than that. Over the past week or so I've made a large number of changes and improvements. Recently, mangos has grown support for RFC 6455 (websocket), including websocket over TLS, and has had numerous internal improvements. Unlike libnanomsg, mangos (tip only) can notify you when a connection is added or removed, and you can access interesting information about the connection. This is in the Port API. We are using mangos internally at Lucera, and I know now of several cases of production use. This is kind of scary at one level, since I wrote this originally as a hobby project about a year ago (to learn Go.) But it has become useful -- frankly extending mangos is far far more pleasurable than working in the C libnanomsg implementation -- a lot of this is thanks to Go which is utterly pleasurable to work in (no matter how bad the guts may be reputed to be). Being able to write a new TLS transport, or even websocket, in the course of an afternoon or two (actually for TLS it was more like an hour), is really nice. I'm hoping that more people will find it useful, and that folks who want to experiment with the underlying messaging patterns may find it easier to work with than the C code. Ideally, there will be more collaborators here, as we start exploring new directions for this stuff. In the meantime, I'm going to continue to work to improve and extend mangos, because its become one of the tools at my day job. Its nice when work and pleasure come together!